Quad copters or drones today are designed to carry a drone cameras on them—well, a lot of them do. These drones can shoot high quality pictures and videos. You can take videos from a lot of different angles. There are action cams that have drone mounts. In this we’ll go over the different types of cameras that are mounted on drones and other related info. If you are in the market for drones, then this is the guide for you. One of the first things that you should know about drones and drone cameras is that there are generally two classes for them. They are either high end (like DJI, Halo, etc.) or the cheaper models. You need to check out the camera type, resolution, and megapixels. If the camera on the drone shoots below 720p and 12 megapixel quality pictures and videos then you know that it’s a cheap drone and a cheap camera. Don’t expect clear and quality output. It’s up to you if you want to get a drone that has an integrated camera or not. Or maybe you want the versatility of a removable or changeable camera—that way you can upgrade the camera type if you want to. So, Which Drone Should I Buy? Good question. Well, other than the type of drone camera, there are other things that you need to consider before buying a really expensive quadcopter. You need also need to consider the price, the type of drone, software and firmware, accessories and parts available, and its features. Let’s start with the price of the drone. Just like any other product you want to buy, quad copters will also come in a variety of prices. You can also categorize them as cheap, mid-range, and premium or expensive drones. Mid-Range: $400 to $1,000. Note that there are pro grade drones that are sold less than $1,000. Premium Quad Copters: $1,000 to $3,000 and up. I recommend getting a cheap beginner drone first if you are starting out and just learning how fly a quad copter. It doesn’t need to have a drone camera installed on it. In case you crash it you only lose $30 instead of crying over $1,000 or more. Once you have mastered the rudiments of flying a drone, you can get a mid-range one. By then you should have learned how to fly one well enough so you don’t crash. The only other skill that you need to add is how to take pictures and video using your drone. You should also invest in video and photo editing software as well. I suggest that you get a drone that has a removable camera so you can upgrade to a better one later on. After you have become really good at it, then you can get a professional grade quad copter. Now, you can offer your photo and video services. Different types of drones will have varying flight times. This is how you determine how long you can fly your drone on a single charge—check the label carefully. Note that the charging times of the batteries are usually longer than the total flight time of a drone. The flight times range from 45 minutes to 90 minutes on a single full charge. Introductory or beginner drones can only give you 5 minutes to 25 minutes of flight time on a single charge. The battery will also require an hour or more of charging time. If you are using your drone for taking videos then consider getting extra replacement batteries. Some quad copters have integrated drone cameras which can shorten the battery life. Get a model that has a separate battery for the camera or get a drone that can be mounted with different types of cameras. Note that the minimum flight time on a single charge is around 10 to 12 minutes. If you do tricks such as flips and others, expect that to significantly drain your battery power. You should also consider the size and weight of your battery and the carrying capacity of your quad copter. The bigger the battery, the heavier it is, but the longer is its battery life. You just have to make a compromise between these factors. Controllers that come with your quad copter will vary too by model. The introductory models will have only the basic controls—yes, those thumb sticks. A more expensive model like mid-range to premium drones, they will have other features and controls as well. Examples of which include GPS systems and video camera controls. Some controllers can also be integrated with your smart phone. Quad copters will also have different sensors and transmitters. These features will dictate the control range, which can be anywhere from a few hundred feet up to maybe a mile away. However, do take note that there are drone models that have shorter ranges. Again, check the specs before buying one. Weather conditions and other interferences (e.g. from radio towers and other transmitters) can also limit the range. Get a range booster if you want to pilot at longer ranges. 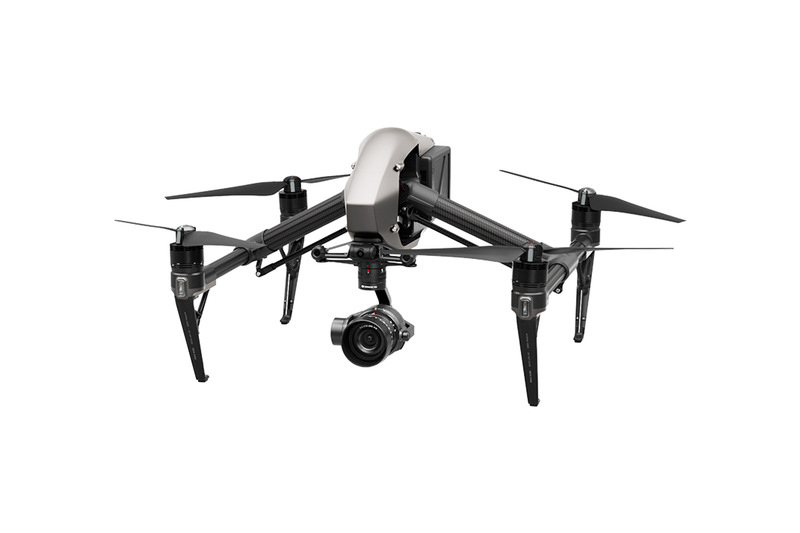 If you’re in the market for the best quad copters in the market, we recommend that you get DJI Enterprise drones. They manufacture and distribute high quality drones that are usually top rated in many customer reviews. Their products usually fall within the mid-range to premium quad copters. The good news is that even their most affordable models come outfitted with a quality drone camera. For more information of DJI Enterprise drones and other quad copter brands, please visit our official website by clicking here.